Wind power is a renewable energy source that is being aggressively promoted (particularly in Europe) in order to reduce emissions of the greenhouse gasses that are responsible for global warming. The advantages of wind power and other renewable energy sources are that it does not require fuel, and can generate power day and night. 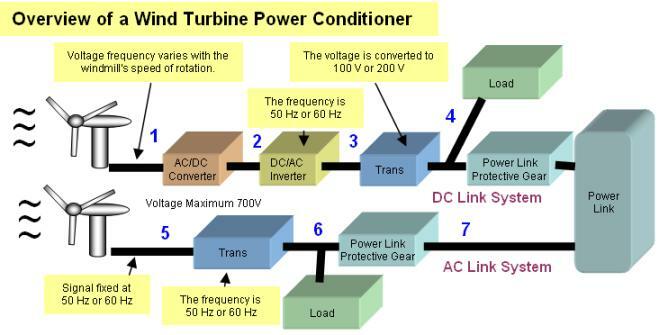 There are two systems for generating power: the DC link and AC link systems. 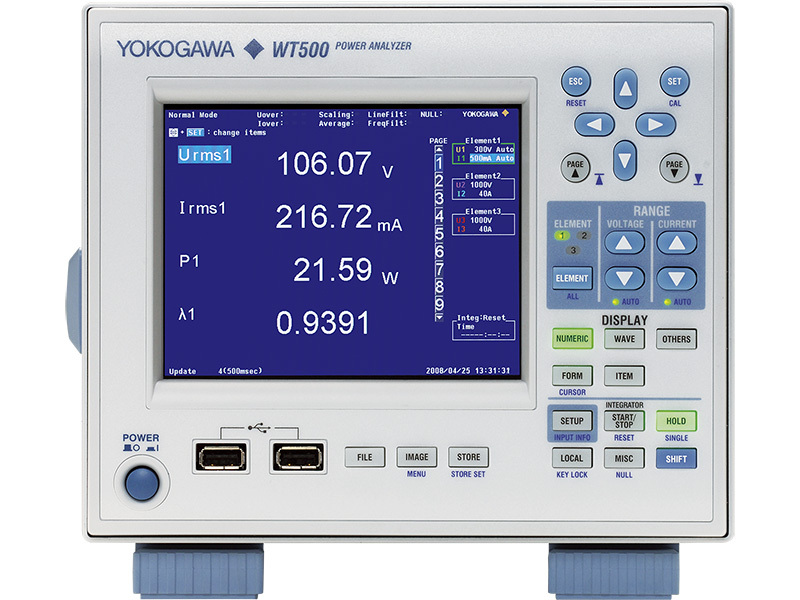 The WT500 Power analyzer enables analysis of data in each of these generation systems with high precision. Observe the voltage level and stability of the converted AC signal (50 Hz or 60 Hz). Observe the stability, suddenly emerging phenomena, and other characteristics of the 50 Hz/60 Hz 100 V/200 V signal. 5. 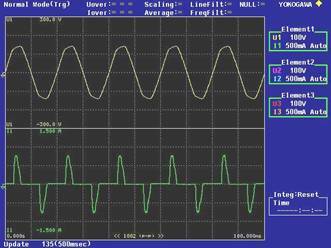 Observe the voltage level of the signal output at 50 Hz/60 Hz. 6. 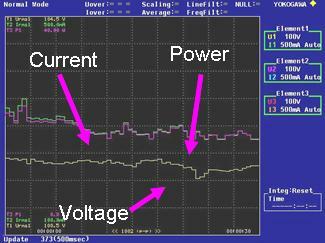 Confirm whether output at 100 V/200 V is stable. Since images can be saved, they can be pasted as-is into reports as evaluation and test data. You can observe the shape of the waveform of the 50 Hz/60 Hz signal, its strain factor, and harmonic components.